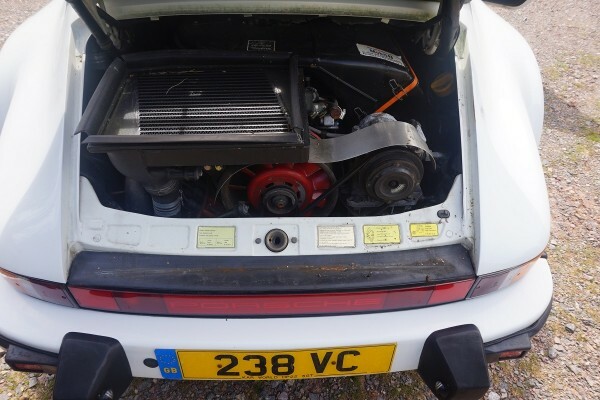 In 1978 Porsche revised the 930 with a larger 3.3-litre turbocharged engine with intercooler that produced 300 PS (220 kW; 300 hp). 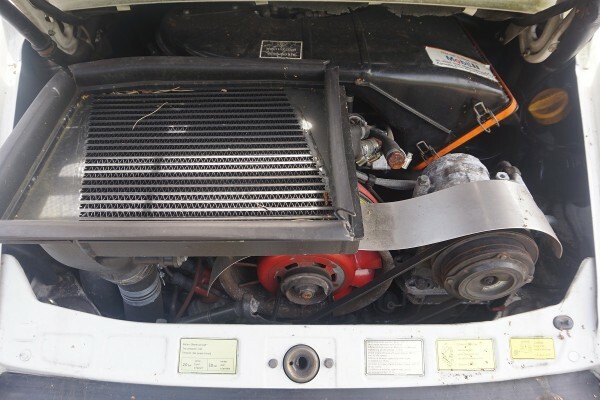 To fit the intercooler a newly designed “tea-tray” tail replaced the earlier whale tail. 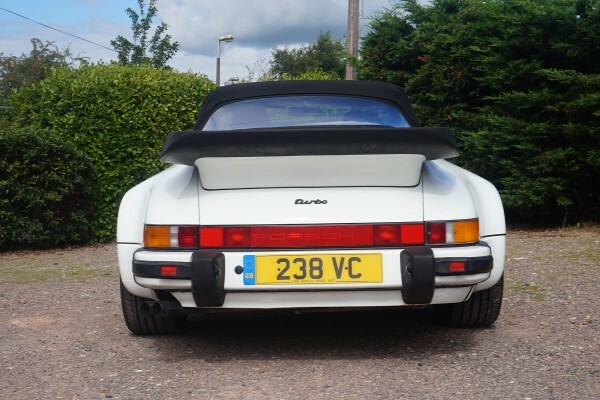 Porsche dropped the “Carrera” name to simply call it the Porsche Turbo worldwide. 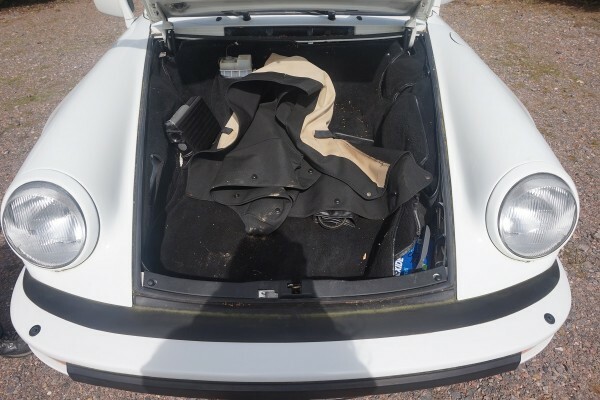 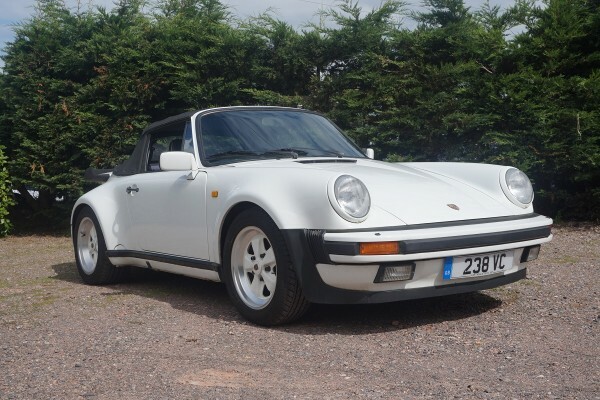 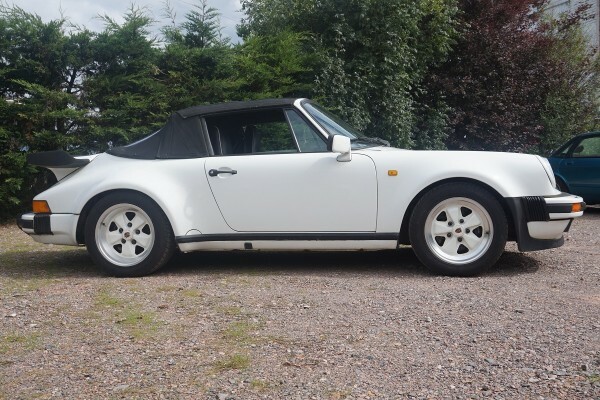 This privately entered Porsche 911 Turbo Cabriolet is finished in white with black leather interior. 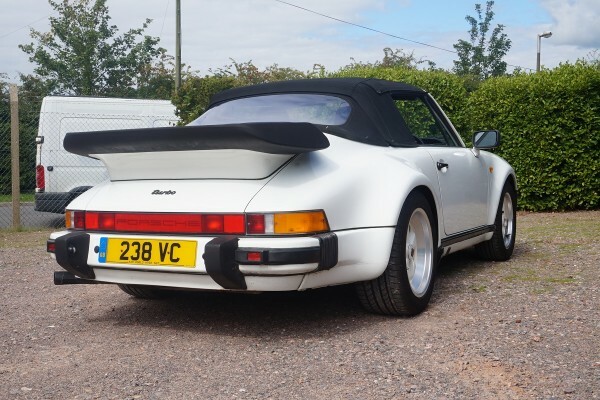 The history file includes 17 service stamps, 15 of which are Porsche specialist from 1988 to 2007, book pack with handbooks, two invoices from 2013 from BSMotorsports Ltd one for £1437.15 for various replacements and repairs and another for £1680.17 for a new clutch. 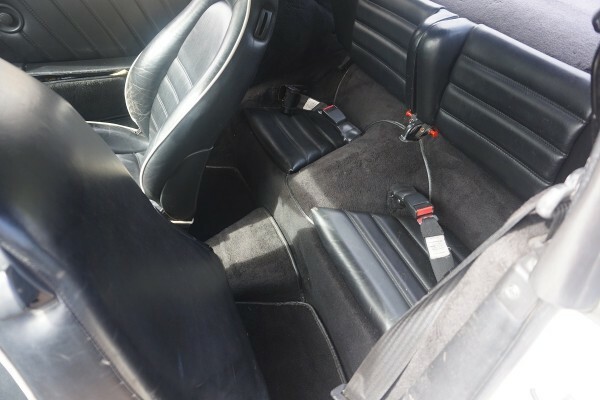 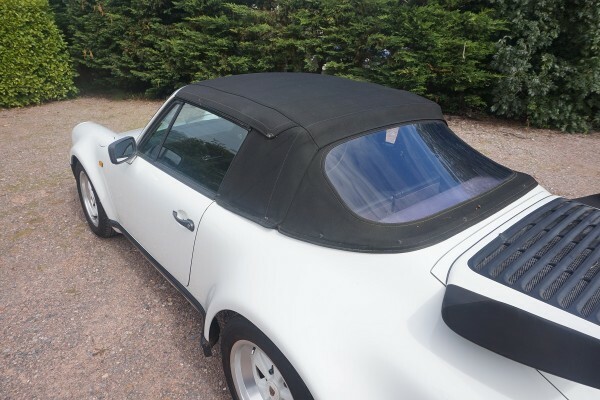 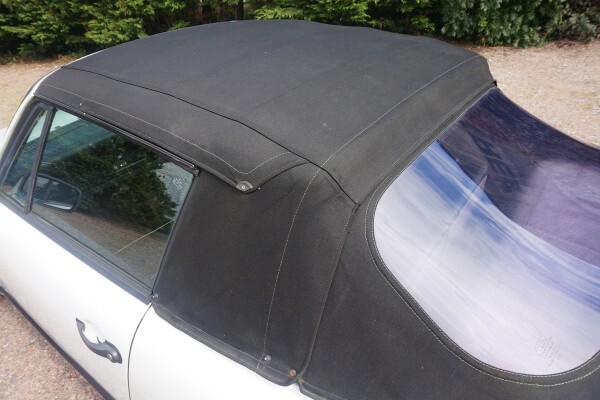 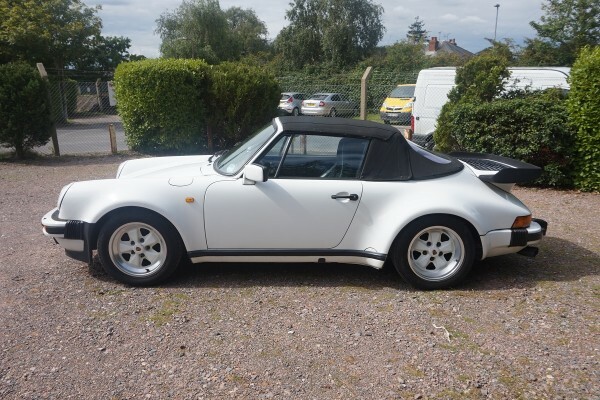 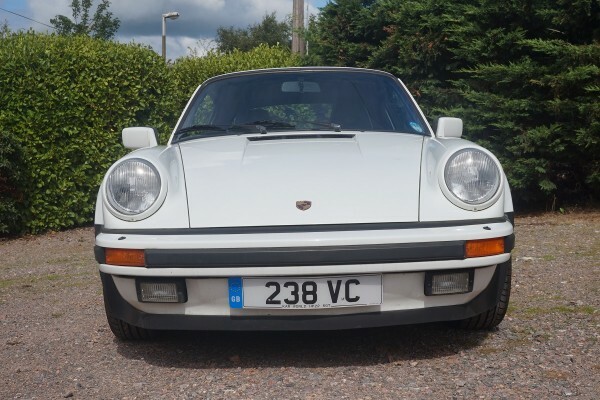 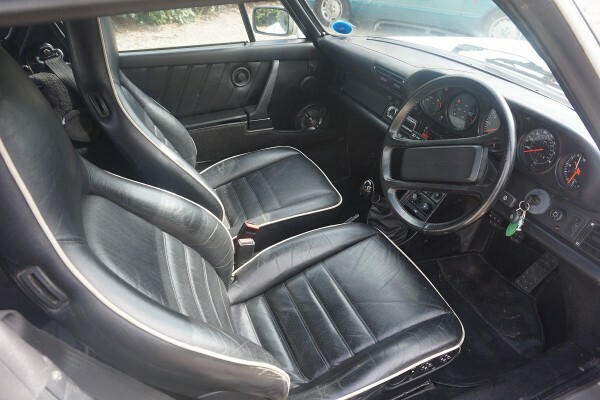 Also included are loads of invoices from 1993-1998 all from Chapelgate Porsche in Ferndown, MOT’s dating back from 1993 up to the present MOT which has no advisories and expires 23/06/16. 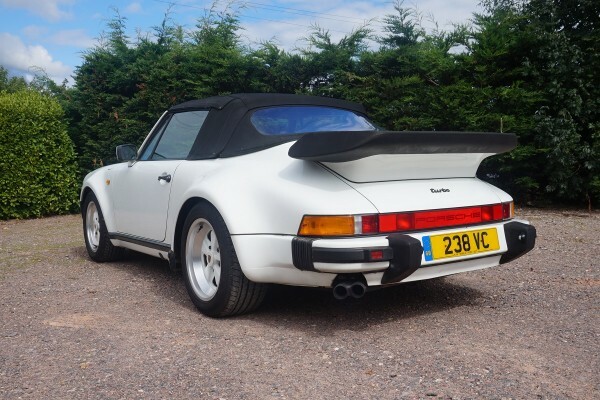 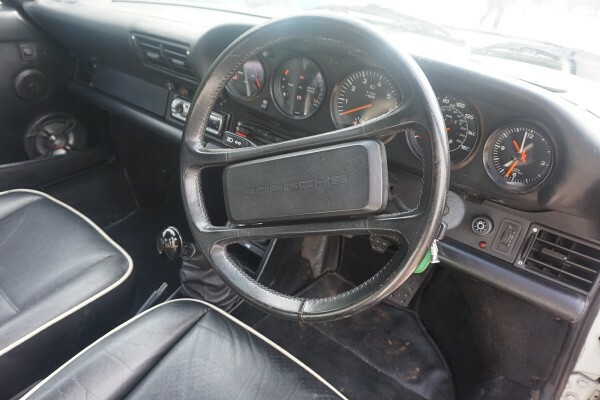 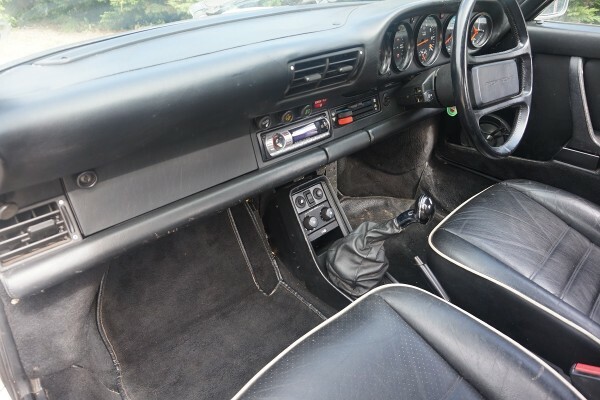 The vehicle had a documented speedo change at 57,674 miles in 1997 (carried out by Porsche Ferndown) and is now showing 42,786 giving us a total mileage of 100,460.